Venice has always been known as a hangout for the creative and the artistic. In the 1950s and 60s, Venice became a center for the Beat generation. 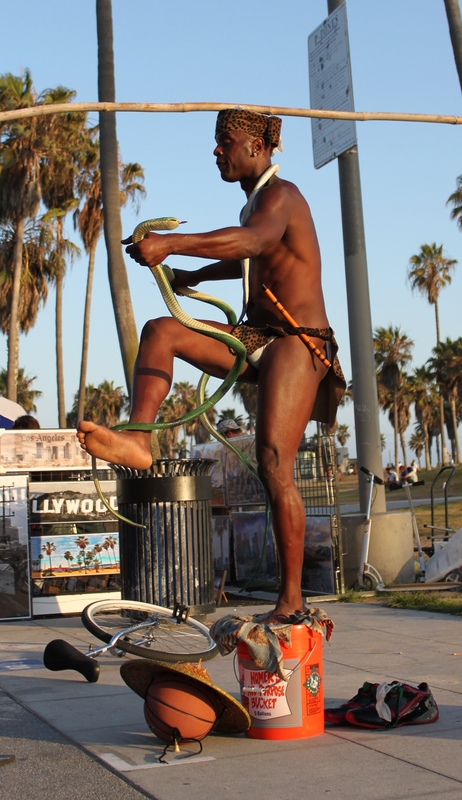 Today it is a vibrant area of Southern California well known for its artists, street performers and funky atmosphere. It is almost like virtual carnival running year round with free admission. Venice is as much about sand & surf as it is about restaurants and people watching. If you want to avoid sand in your shoes, take a walk along the famous Ocean Front Walk, a two-and-a-half-mile pedestrian promenade that features performers, fortune-tellers, skaters, artists and vendors not to mention shopping. Before consolidated with Los Angeles Venice was a seaside resort town and a separate city until 1926. 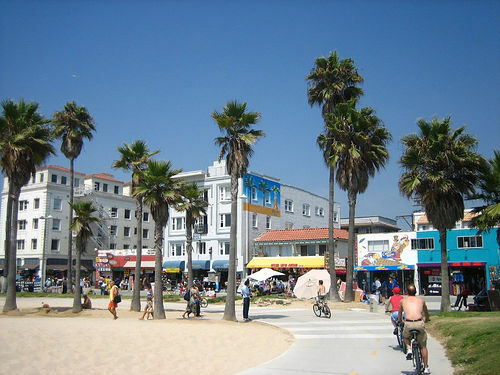 Santa Monica, Venice and much of the west side is accessible only by bus. Santa Monica's Blue Bus 3 runs frequently along Lincoln Blvd (a street which is sometimes referred to as 'Route 1'), connects easily to the Culver City Bus 1 directly to Venice Beach and also goes directly into Santa Monica. Free. General food, drinks and clothes costs. The California Academy of Sciences is one of the largest museums of natural history in the world. Visiting San Francisco and not riding a cable car is like going to Paris and not seeing the Eiffel Tower. These historic symbols of San Francisco have transported people up the steep hills of San Francisco since 1873. Fisherman’s Wharf is a lively and busy waterfront area landmark in San Francisco. Outside Asia, this place has the largest Chinese community and is the oldest Chinatown in North America. It is located on Grant Avenue and Stockton Street and is attracting more visitors than the Golden Gate Bridge annually. Abalone Cove (along with Sacred Cove) beach is part of the Abalone Cove Ecological Reserve and can offer you tide pools, bluff top viewing areas and trails. Honoring luminaries in motion pictures, television, radio, live theatre, and recording since 1960, this famous sidewalk is one of the city’s most beloved free attractions.